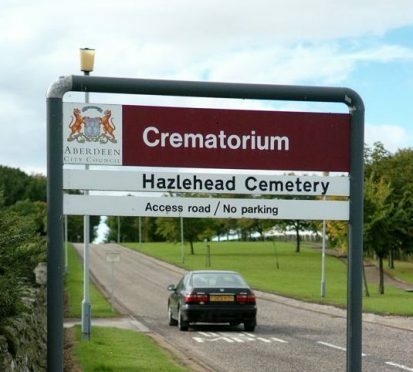 A new report on Aberdeen’s scandal-hit crematorium reveals that new practices appear to have “restored public confidence” in the facility. Robert Swanson QPM, Inspector of Crematoria for Scotland, visited the Hazlehead site in January to monitor progress made since the baby ashes debacle was uncovered. The city crematorium was heavily criticised after it emerged in a 2015 report that baby and adult ashes were routinely mixed together. Grieving parents were often told that babies produced no ash to hand back to families. Council bosses have insisted that practices have been “transformed” in the wake of the national scandal. Now a glowing report from Mr Swanson found has found cremations are carried out to a “high standard”. He wrote: “The inspection found there to be no shortcomings in any aspect of the cremation process, with current management and staff to be commended for the high standards they have set and maintained in recent times. “They have overcome hurdles set by their predecessors and appear to have restored public confidence with regards current working practice. Last month it was announced that there would be a £1million revamp of the crematorium with the replacement of both its entrance and reception area and the installation of new disabled toilets and a digital media system. A new memorial and sculpture has also been designed for those affected by the baby ashes scandal.